In his introduction Dean Hoàng makes the observation that to most in the West, Vietnam and its population are relegated to overseas bit players in the USA’s mid 20th century social turmoil. What the people whose country was invaded endured, and how they felt is rarely seen, so Vietnamese Memories is a record of some importance. It was all news to Clément Baloup, and his father is Vietnamese. 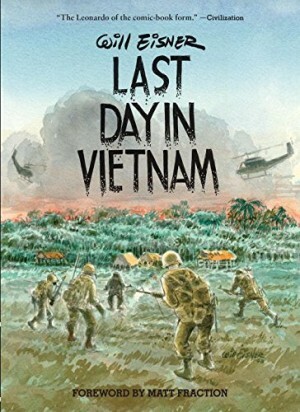 A chance conversation opened the door to a flood of memories, and that conversation forms the opening chapter, following a prologue giving a brief history of Vietnam in the 20th century. The conversation is told as it occurred, Baloup talking to his father as he’s taught to make a curry, and is packed with trenchant observations dropped in a matter of fact manner. That there’s not much call for architects in times of destruction, pills supplied to treat incipient TB changed his father’s vision to blue, most of his friends died… Baloup chooses to illustrate the conversation, including a few flashbacks, rather than dramatising events, and doing so provides a power that just seeing a succession of war panels would lack, as they’re now ingrained as commonplace. 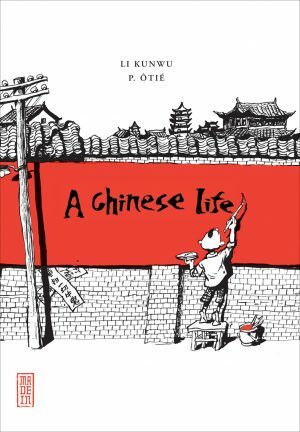 After his father Baloup talks to other Vietnamese immigrants to France, beginning with the life of Mr Nguyen in a re-education camp. They’re chilling. 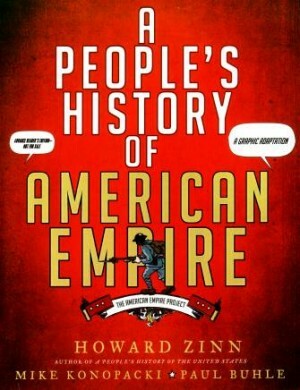 He’d planned roads, but as these roads had benefited the American invaders, following his trade retroactively made him an enemy of the people whose poor behaviour had to be acknowledged, confessed and judged. This was while working for the state in conditions amounting to slavery. It lasted five years, after which he was reappointed to his previous job as if nothing had happened. The interviewees are of different ages. The oldest has memories of Japan’s occupation of Vietnam during World War II, the youngest was still an infant when Saigon was liberated in 1975. There’s little uniformity about their experiences other than flight and horror being involved at some stage. Some discover a new life, others that camp life in France is no end to danger and persecution. 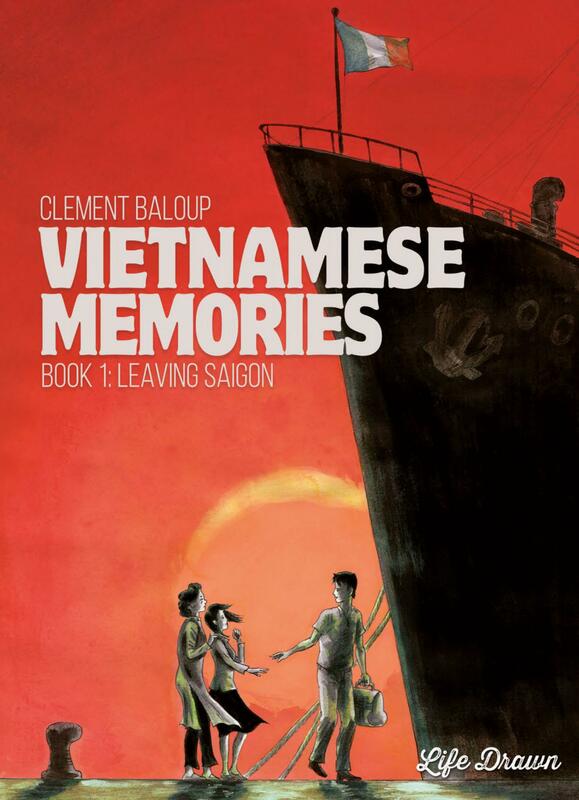 American anti-communist principles may have cost tens of thousands of lives, but Baloup’s stories display that romanticising the Vietnamese communists is equally wide of the mark. Both parties adopted an attitude that amounted to anyone not committed to ideological dogma was an enemy. Baloup is a very adaptable artist. The way he immerses us in the recollections initially disguises this, but he employs three distinct styles. Vivid pastels are eye-catching, but the black and white line art with colour overlay and watercolour pages are equally distinctive and successful in creating a variety of emotional responses. The watercolour pages are the recollections of journalist Pierre Daum. An investigation of a factory closure leads him to the discovery that immigrant Vietnamese workers first arrived in France during the 1940s. Theirs is an appalling story of exploitation, which Daum brought to light, forcing some communities to come to terms with their past. 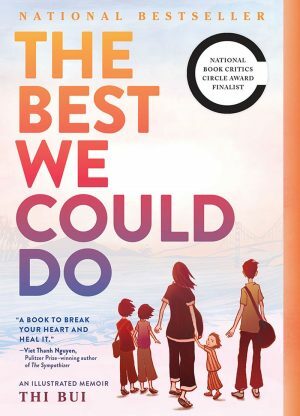 At one point it’s noted that a profound sorrow is a shared experience of leaving a country and being unable to return, but it’s also something any caring individual should feel on reading these heartbreaking stories. However, structurally, it’s such a shift of tone that it might have been better published separately. 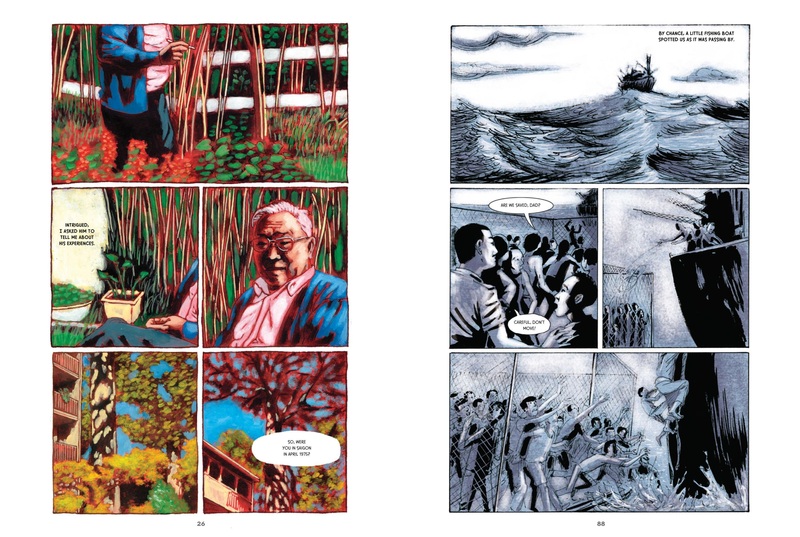 Evocative, sad and enlightening, Baloup’s work should hold widespread interest, and he collected enough stories for a second volume, Little Saigon.